marking.ee offers wide range of Industrial Equipment and solutions for metalworking, woodworking, pharmaceutical, food production and other industries in Baltic states - Estonia, Latvia & Lithuania. Our main specialization is complicated marking solutions for highly demanding applications and laser based systems. Alongside industrial marking equipment we also offer equipment for Laser Cleaning, Laser micro-machining equipment and Hybrid Additive Manufacturing systems. TELESIS CO₂, YAG & Fibre, UV and EVC - Vanadite lasers for complicated marking needs like for example high contrast or even color marking on metal, glass, stone or polymers. 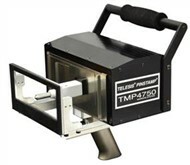 TELESIS Pinstamp® and BenchMark® electromechanic and pneumatic "dot-pin" marking equipment for engraving of serial numbers, batch codes or even drawings and logos on metal products. 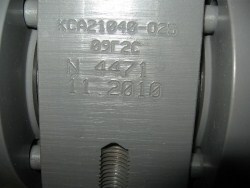 Widely used for metal pipe marking or serial number marking in automotive industry and trailer marking. Non contact marking for food packaging. Piezoelectric and Thermal inkjet printers for printing on porous product packaging - cardboard boxes or to print derectly on product - wood. Printers with UV ink for printing on non porous products like film packaging in flow-pack packagers. Industrial printers for best before date, batch number and other variable information printing on product, widely used on marking of PET bottles. Contact marking for food and pharmaceutical packaging. - Thermal transfer printers for packaging lines. Print modules for installation in packaging lines - flow-pack packagers, to print variable information - barcodes, batch numbersor even small label directly on packaging film. - Hot Foil printers for packaging lines. Hot Foil printers for printing directly on packaging. Relatively cheap and very reliable solution for permanent marking of best before date, batch code or other static information on packaging. Widely used in pharmacy industry to make counterfeiting safe marking on product. 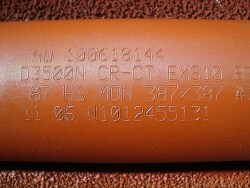 - Chemical aditives for laser marking. Additionally to equipment sales we offer consumables and yet non popular marking solutions in our countries as for example use of chemical additives to achieve different color marks on hardly markable products and substrates. 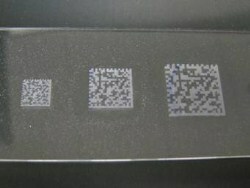 Use of chemical additives can enable existing equipment for example CO₂ laser owners to make color mark on metal or glass with already existing equipment. - Printers for automatization of wood marking in woodworking industry. As one of main industries in Baltic region is woodworking and to produce highly competitive product for export manufacturers are required to print CE, FSC, PEFC or other marking on their products we offer wide range of solutions to automate wood product marking. Printing on wood with inkjet printers. Printing on wood with laser.